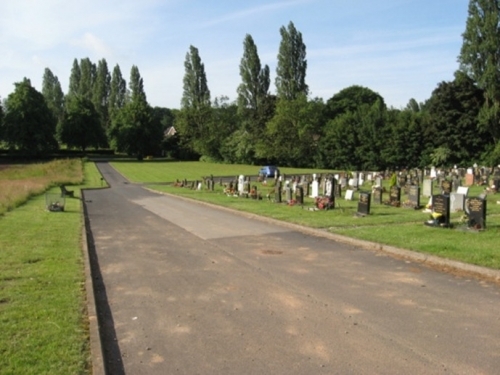 Geo Environmental Group (GEG) were commissioned by Birmingham City Council Urban Design (BCC UD) to undertake an assessment of three plots of land within the curtilage of an existing cemetery for excavation and burial purposes. The assessment, which was overseen by BCC UD, included the determination of geotechnical and environmental parameters. The potential for contamination was particulary prevalent in a section of the site formally used by the cemetery for landfill disposal purposes. A drainage assessment was also undertaken to determine options for sustainable drainage as at least two of the plots were known to be historically flooded. The cemetery is in a relatively sensitive area overlying a Major Aquifer. The works incorporated a Phase I Desk Study to determine whether there were any historical activities on the site or its immediate environs that were potential contamination sources. In addition potential contamination receptors and pathways were established in accordance with CLR 11 (EA 9/04). The geology was indicated to be Glacial Deposits overlying Bromsgrove Sandstone Formation. Japanese Knotweed was also identified on site. Further information on the history of the site was provided by BCC Urban Design. An intrusive Phase II investigation was subsequently undertaken to prove/disprove the existance of the potential contamination/pathways and for geotechnical excavation stability determinands. These works incorporated window-sampled boreholes and trial pits, with a number of the boreholes installed with standpipes for subsequent groundwater and gas monitoring (the latter targeting the landfilled area).